When commissioning a designer to create a logo for you, take a close look at their portfolio of work. Some designers will have a specific style that they like to use when creating logos. Their particular style, even if you personally love it, may not be appropriate for your business’s logo. You are best to look for a designer who has a portfolio that shows they can adapt their style to reflect what is required for your logo design. Designers who have a varied portfolio of design styles will be creating logos based on research and a strong understanding of their clients business and audience. Your logo is going to be used in a lot of different circumstances. From a tiny website icon to large building signs & vehicle graphics, your logo needs to be highly scalable. Not to bog you down on technical details, but essentially, a vector graphic can be scaled to any size without a loss of quality. But some (amateur) designers create logos in a raster bitmap format which is not great when it comes to resizing. Have you ever tried enlarging a jpeg image on your computer and it goes all fuzzy and blurry? 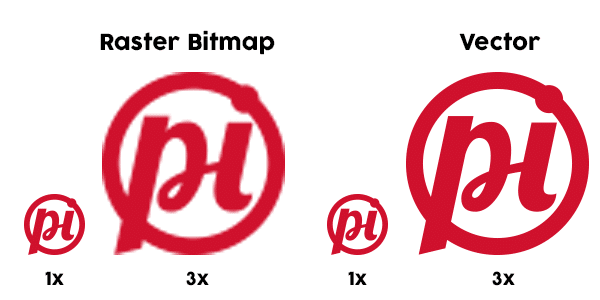 Well, that’s going to happen with your logo too if you are given your logo as a bitmap only and not as a vector. 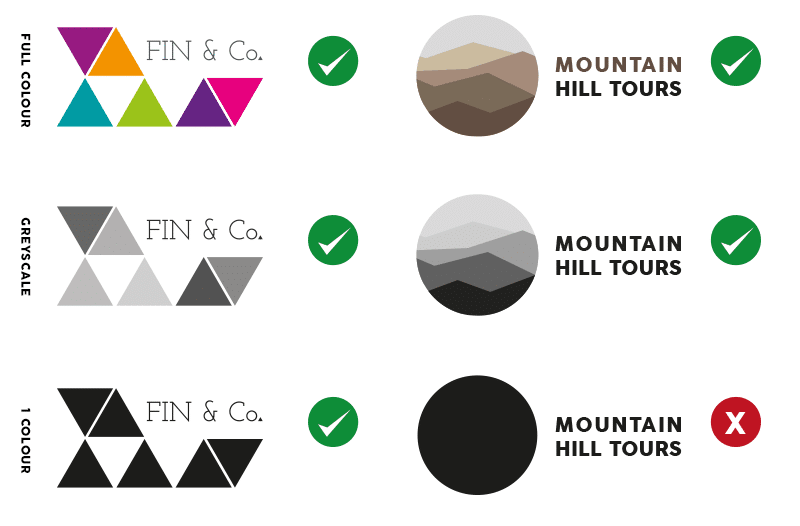 There will still be instances when you need to have your logo appear in only one colour. For example, promotional merchandise such as pens and key rings can often be limited to a 1 colour print option. Your logo should not rely on colour, gradients or other effects for its design. If it does, you could find that when viewed in 1 colour, your logo suddenly looks pretty bad. As a rule, when I start working on logo concepts for a client, I work only in black. That way I can make sure that the shape and form of the logo work before I introduce colour to the design. In the same way that stock images and photographs require you to purchase a license in order to use them in your designs and marketing, so do fonts. Many amateur designers will use licensed fonts in logo designers but not make the client aware of this. This could cost you at a later stage if the font designer or font library that holds the license decides to sue you for unlicensed font use. If you do not want a licensed font to be used as part of your logo design, then you should let your designer know this at the beginning. Be aware though, that this will limit the design process by closing off a lot of professional level fonts to your designer. There will be occasions where you need to have something created for your business in terms of marketing or promotion and need to hand over your logo to another designer. After investing time and money into crafting the perfect logo, the last thing you want is for some other designer to butcher your logo. This is where style guidelines come in. These may be called logo guidelines or brand guidelines, but they are essentially the same thing. The guidelines document acts as a bible for your logo. It lets other designers know how to use your logo when they are placing it into a design. It will inform them of spacing, sizing, typography, colour along with some do’s and don’ts. Check with the designer to make sure that after your logo design has been finalised that you will receive a set of guidelines. Your logo may look awesome when it is in a rectangular shape, but what happens if you need to use it inside of a square? You certainly don’t want to squash it to fit, as that would be very bad. You also don’t want to crop off the edges…again, very bad. How many times have you seen company logos used as profile photos on Facebook where it clearly isn’t designed to work within a square shape but they have used it anyway? It looks terrible, right? Your designer should be able to provide your logo in a few different layouts that you can use for differing situations. At a minimum, you should have a stacked/portrait option and an inline/horizontal option. Your designer should have a comprehensive design process. Do you want to really find out if this is the right designer for you? The best way to do that is to ask them about their logo design process. By asking about their process, you can tell if the designer is going to carry out all of the necessary steps to ensure that your logo is not only a great design, but is appropriate for your needs and your business. A professional logo designer will allot a significant amount of time to the research stage when coming up with a new logo design. By knowing as much as they can about your own aims and objectives, your industry and your target audience they can create a logo that is perfect for your needs. Take a look at my logo design process. 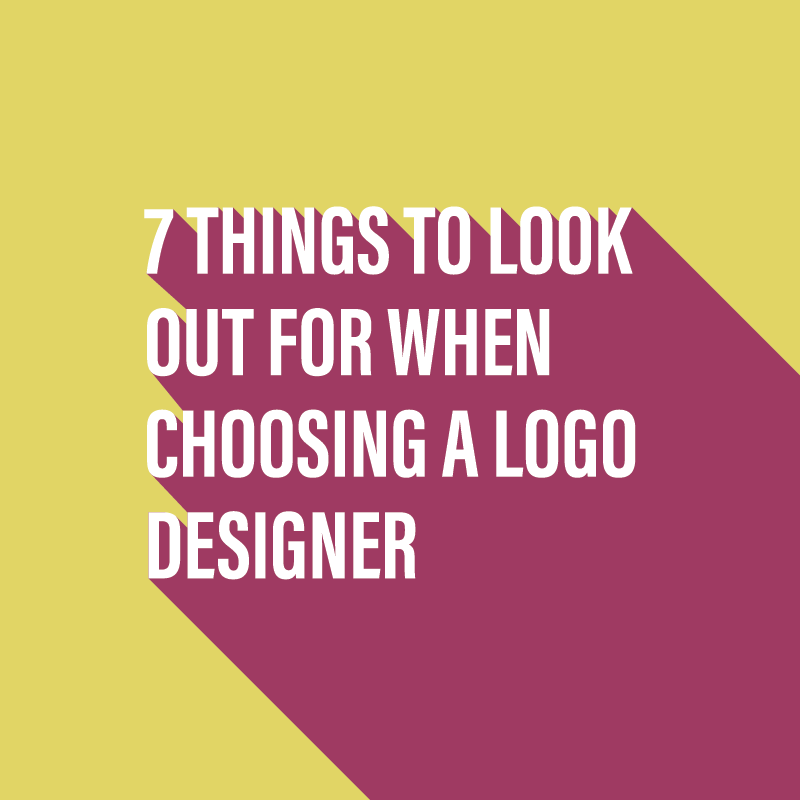 This is not an exhaustive checklist when it comes to what to look out for when you’re about to commission a new logo designer, but they are in my opinion 7 of the most important things. Don’t make your decision to work with a designer purely on the quality of the logo designs. The design process and deliverables that you will receive are just as important to a successful logo design project. By having all of these things in place you can be sure that you are investing your time and money wisely and rule out buyer’s remorse. If you have a logo design project coming up that you’d like to discuss then please get in touch.